Racing was canceled at 1000 hours with barely a breath of air to spare on the race course. It was maybe a blessing in disguise following a magical night in the Regatta Village which was packed with party-goers and Mount Gay Red Caps. 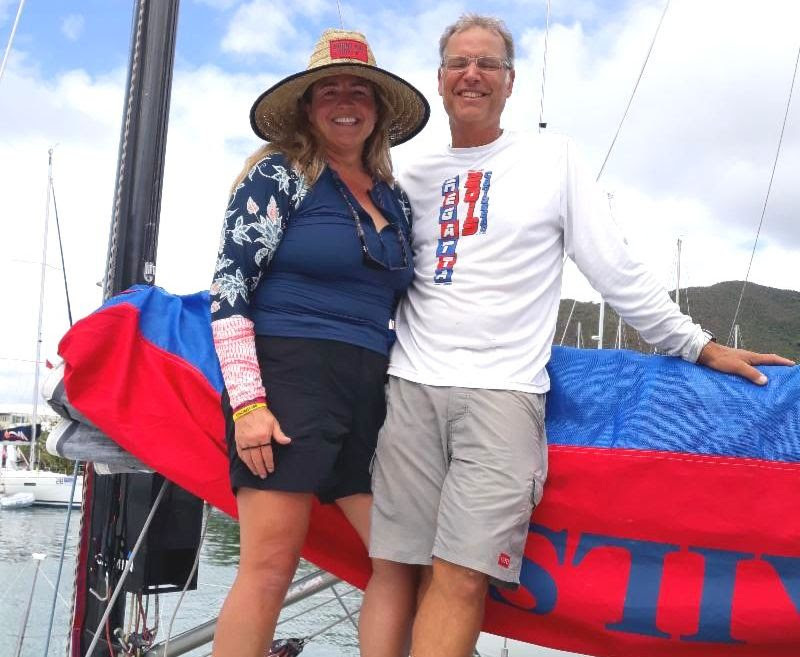 Nevertheless, it didn’t take long for boats to regroup and figure out Plan B this morning, madly dashing to the market to stock up on ice and beverages, hightailing it out of the marina on race boats and bareboats. 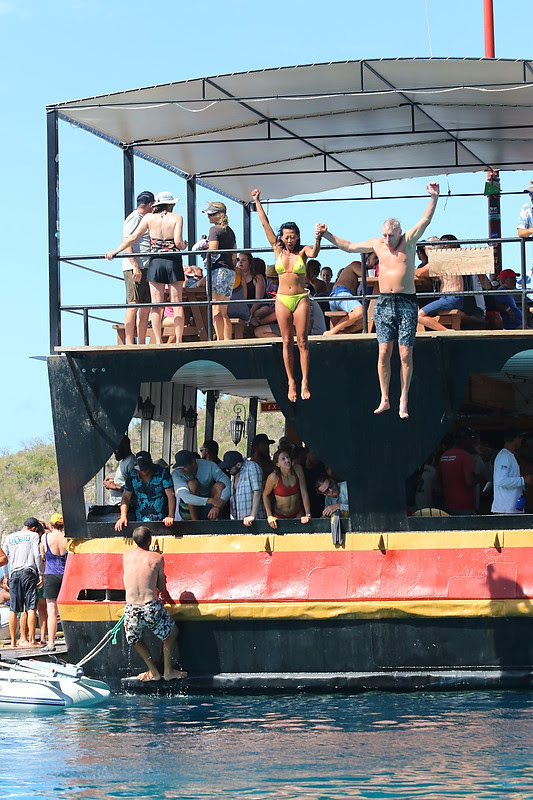 The chatter on the dock suggested that popular places to visit included The Baths National Park, Virgin Gorda for snorkeling, Cooper Island for fabulous food and painkillers at the Cooper Island Beach Club, or a cruise to the rebuilt Willie T’s now off Peter Island. 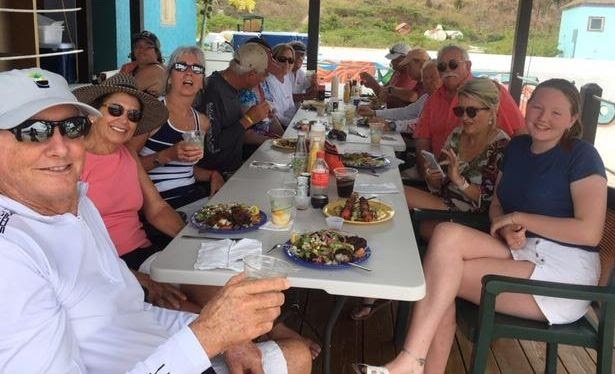 Fortunately, the surf was up on Tortola’s north side and the boys on the King 40 Blitz were headed to the north side of Tortola to fabulous surfing at Josiah’s Bay, while the crew on the GunBoat 62 Chim Chim were eyeing up a surf trip over to Apple Bay Beach, also a hot surf spot. A lazy day in the shade back at the team villa was looking like the popular vote for the crew on Fujin. Dave Brennan, Principal Race Officer, commented on today’s decision to cancel, “You need a minimum of 5 knots of wind across the whole race course before you can get any kind of fair sailboat racing. For a race officer to try to push it just because you can see a few boats sailing around doesn’t cut it, you have to make it fair for everyone. One thing for sure is we don’t want to have poor sailboat racing just to get races off. 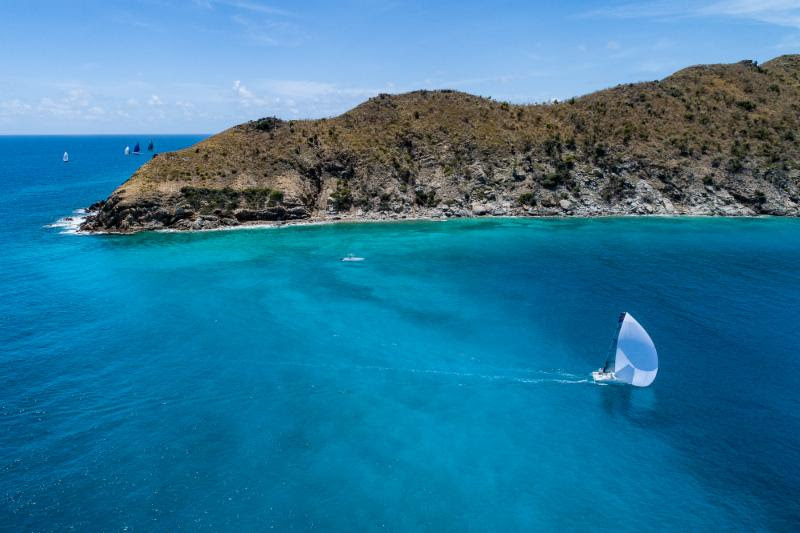 Bob Phillips, Regatta Chairman, and I viewed Sir Frances Drake Channel from the top of Tortola several times this morning – there was hardly any breeze with big areas of flat calm. 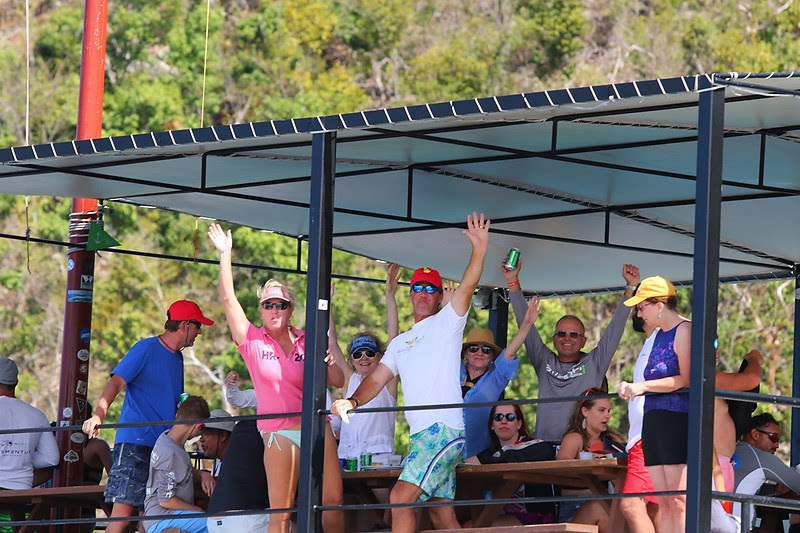 We knew at least by 1000 we wouldn’t have enough wind to sail so we postponed early to give people enough time to enjoy the rest of their day rather than drift around in the heat,” Brennan reported from Foxy’s on Jost Van Dyke where he was nursing a painkiller with the Race Committee. The Regatta is very fortunate to have well respected photographer Ingrid Abery as part of this year’s media team. Ingrid is a familiar face to many on the international sailing scene such as America’s Cup, Olympic and Caribbean circuits and whose work captures the moment in a special way, on the water, at the parties, on the dock. 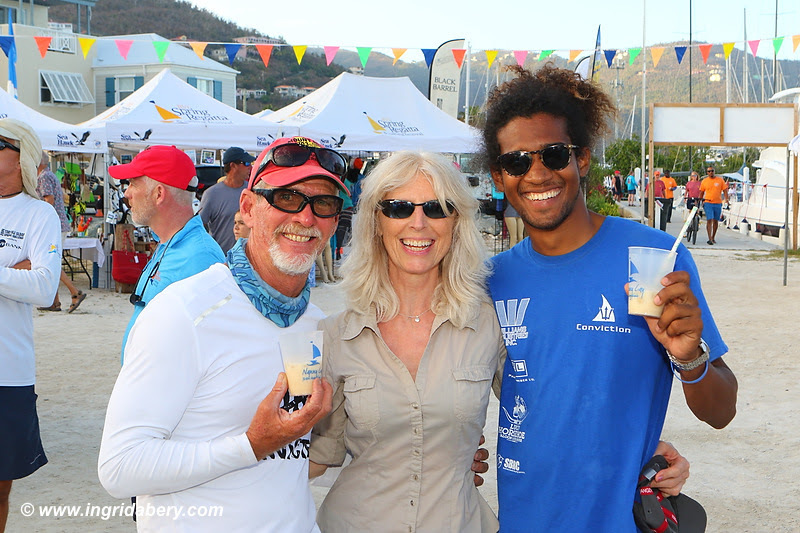 Her photos of BVI Spring Regatta and Sailing Festival are available for purchase at www.ingridabery.com, or track her down on the dock this weekend!